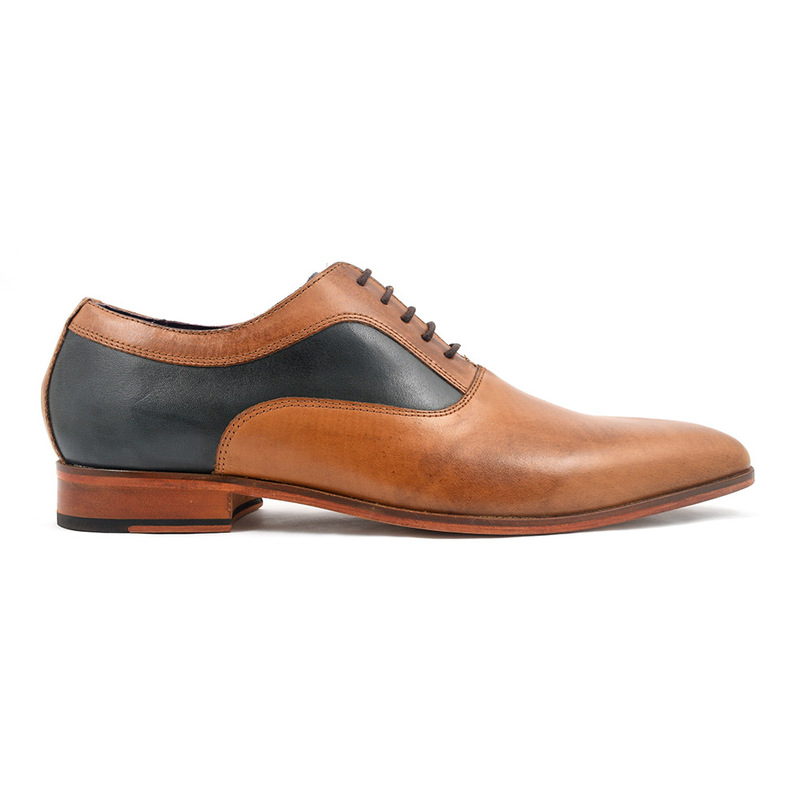 A dark navy leather combined with tan makes for an original oxford. A leather sole to boot! 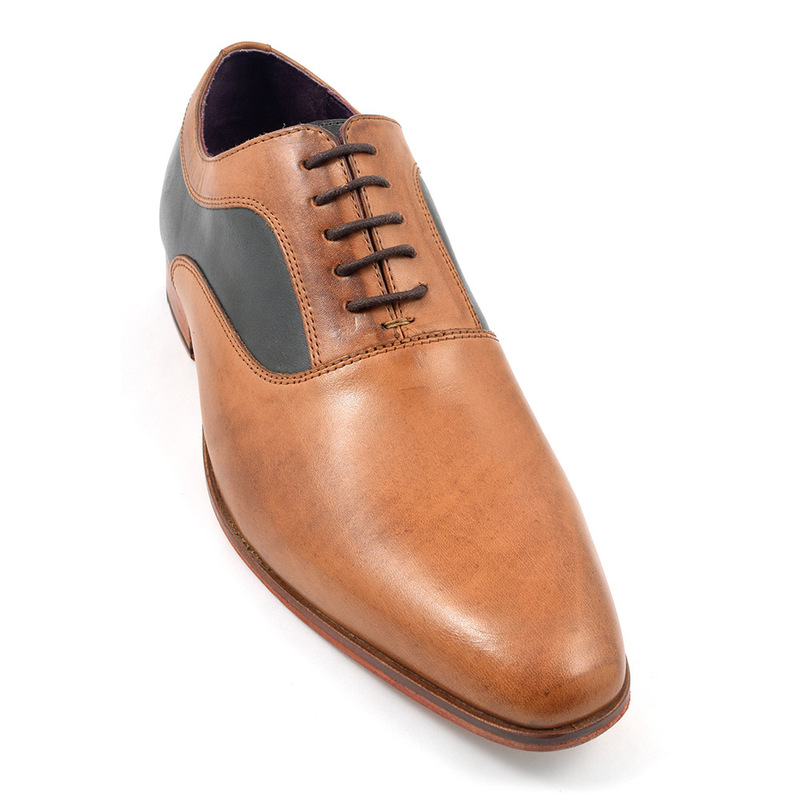 A tan navy oxford which has character and style. 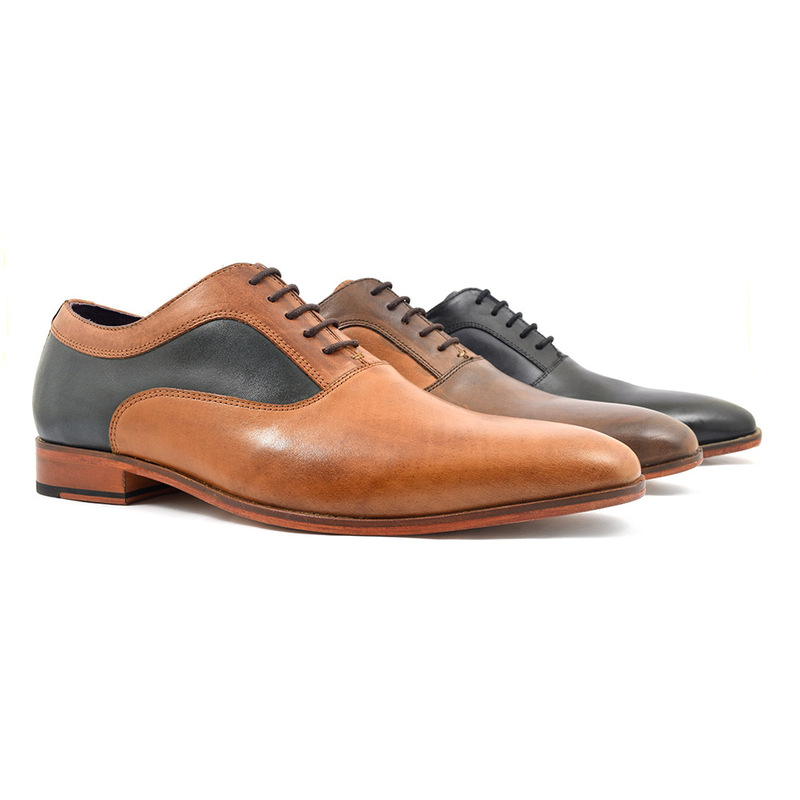 All the formalities of the oxford, the closed lacing system lends a streamline feel. The contrast tan and navy leather panels give personality and edge. 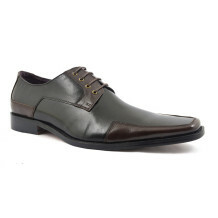 So even thought the shoe is a formal one, you could wear this oxford shoe with jeans. The look would be smart and show that you care about your appearance. 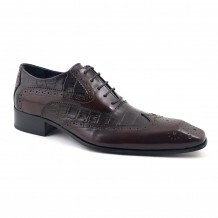 If you wore them with a suit, the look would have a slight edge which is more original and fun than a plain oxford. 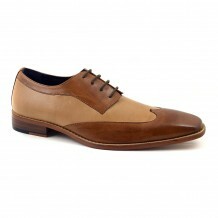 Why not try a pair of these tan navy oxford shoes to have a bit of formal yet original style in your wardrobe. It will come as no surprise that Oxford University is thought to be where these shoes originate from. An ‘oxonian’ was a boot many students wore which had a slit down the side. This was to get them off and on easily. The slit over time had laces inserted and they made it to the centre of the boot. This morphed into a shoe and there we have it. 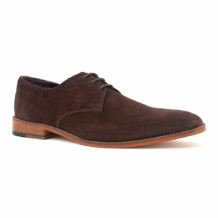 The oxford became the epitome of formality over time and not really a shoe to be seen in the universities. However, there has been a rise in men dressing smartly and there is no reason you couldn’t see a young man at uni wearing a pair of oxfords these days. Here is a great guide from Gentlemens’ Gazette. 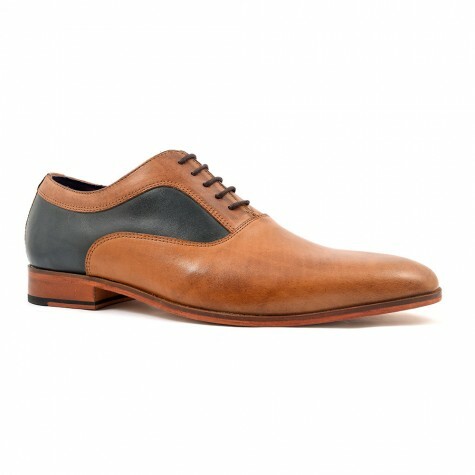 Be the first to review “Arka Tan Navy Oxford” Click here to cancel reply.